Due to challenges such as climate change, pollution, urban sprawl and fossil fuel extraction, key habitats, including forests, coral reefs, the Arctic, and wetlands, and the wildlife that occupy them, are struggling to survive a rapidly changing world. 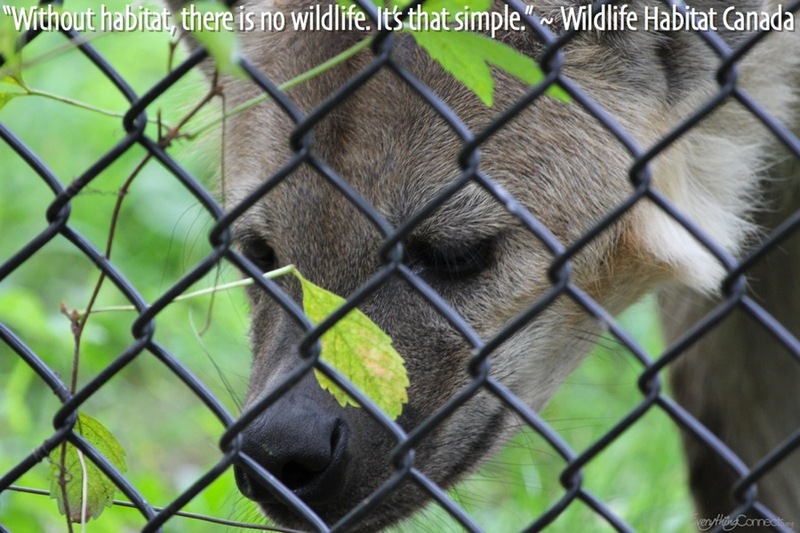 Discover the challenges these habitats face, their current status, and what you can do to help make a difference. Forests are home to 300 million people worldwide and 80% of the world's terrestrial biodiversity and provide direct livelihoods for 1.6 billion people, including the 10 million people who work in forest management and conservation. According to FAO, the world's total forest area is just over 4 billion hectares, with forests covering 31% of total land area and legally established protected areas covering an estimated 13% of the world’s forests. The five most forest-rich countries, the Russian Federation, Brazil, Canada, the United States of America and China, account for more than half of the total forest area. Although more than half of all animal and plant species in the world live in tropical forests and despite the abundant benefits forests provide to humanity, such as maintaining a balanced climate by regulating atmospheric gases, stabilizing rainfall and protecting against desertification, as much as 80% of the world's forests have been degraded or destroyed and every day we are losing at least 80,000 acres of forest and at least another 80,000 acres are being degraded. Rainforests once covered 14% of the Earth's land surface, now they cover a bare 6% and experts estimate that the last remaining rainforests could be consumed in less than 40 years and certainly by the end of the century at the current rate of deforestation. Nearly half of the world's species of plants, animals, insects and microorganisms will be severely threatened or destroyed over the next quarter century due to deforestation. One and one-half acres of rainforest are lost every second and experts estimate that we are losing 137 plant, animal and insect species every day due to deforestation, which equates to 50,000 species a year. Although FAO estimates that compared to the 1990's, the rate of deforestation was slightly lower this past decade at a rate of 13 million hectares of forest being destroyed annually, which is an area about the size of Greece, and planted forests now comprise nearly 7% of total forest area, each year the world has less forested area, and the forests that remain are of lower quality. Learn more. 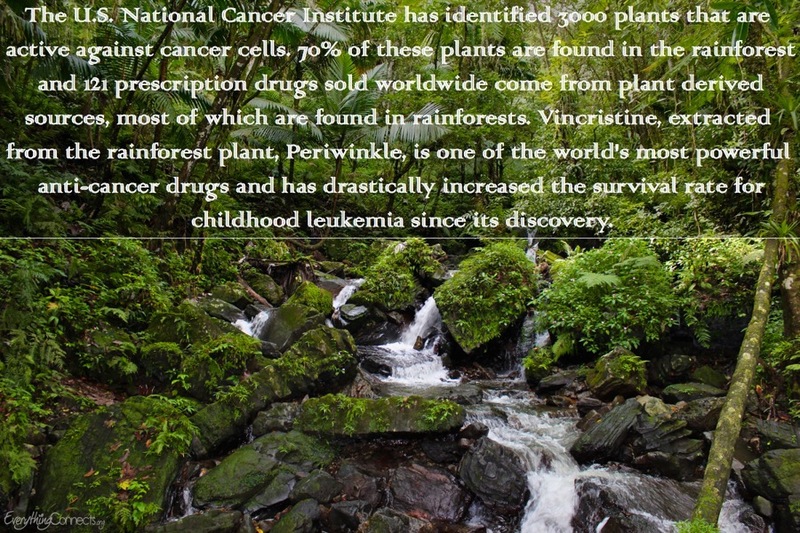 Click and discover some of the medicinal benefits of rainforests. Although forests supply many important goods and essential services, they are still on the decline worldwide. Commercial logging is the main cause of rainforest destruction. The driving forces behind this destruction is fuel wood, the paper industry, logging for tropical hardwoods, subsistence farming, grazing lands and government subsidies, which have severely disturbed at least 94% of temperate broadleaf forests and destroyed more than 98% of the original extent of old growth forests and less than 0.1% of dry forests in Central America's Pacific Coast and less than 8% in Madagascar remain from their original extents. Learn more. 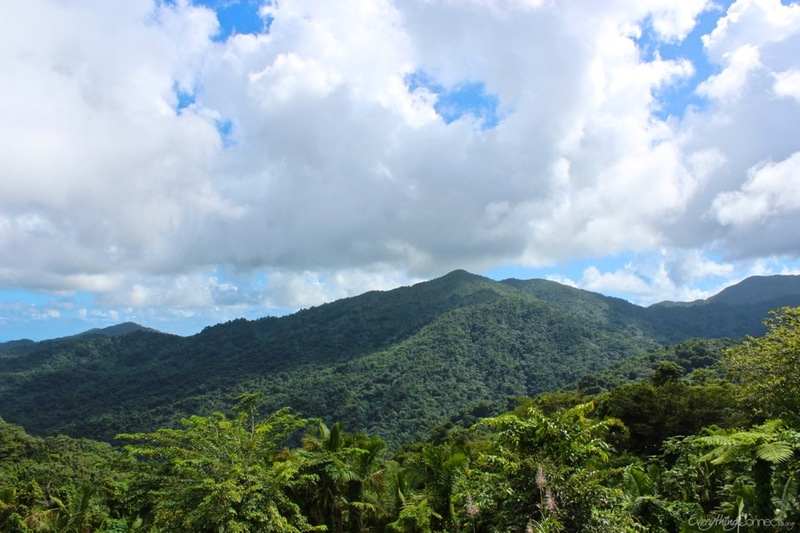 Frontier Forests are relatively undisturbed and large enough to maintain all of their biodiversity. Click to enlarge. Forest Loss, Threats and Importance. Throughout Earth's history, there have been five major extinction events, the last of which killed all the dinosaurs 65 million years ago. We are now in the midst of the sixth mass extinction, the first caused by a single species: humans. In the heart of this rapid succession of decline, the oceans will be affected most intensely, losing as much as five times more species than lost on land. 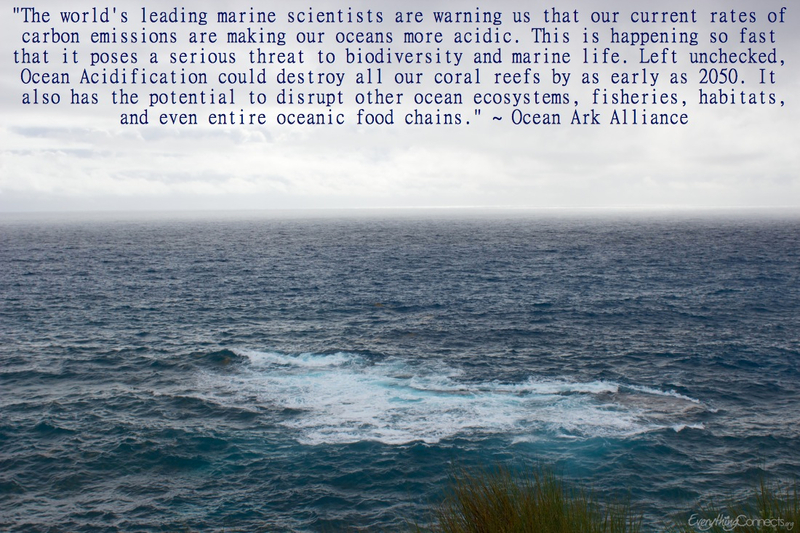 From the tiny plankton responsible for half of all the oxygen we breathe, to the beautiful coral reefs protecting our shorelines, to the singing humpback whales, to the seafood we love, immense swaths of the ocean's creatures are being threatened by rapid and non-discriminating forces. Coral Reefs are disappearing four times faster than the rainforest with a new report from the International Union for Conservation of Nature (IUCN) finding that there is just 8% of live coral cover on Caribbean reefs on average, compared to more than 50% in the 1970s. Due mainly to warming temperatures, acidifying oceans and pollution, close to 30% of the ocean’s reefs have already vanished since 1980, including half of the reefs in the Caribbean, and scientists forecast that Australia’s Great Barrier Reef may be dead by the year 2050, tropical corals could be gone by the middle to the end of this century, cold-water corals will be severely stressed by 2040 with two-thirds of them in a corrosive environment by the century’s end, 70% of the world's coral reefs will be destroyed by the year 2050 and all coral reefs could be gone by the end of the century (see also). Learn more. Bottom trawls are enormous fishing nets that are literally dragged across the ocean floor, clear-cutting everything living in their path. These trawls are powerful enough to destroy century old reefs in mere moments and are often referred to as "ocean bulldozers." 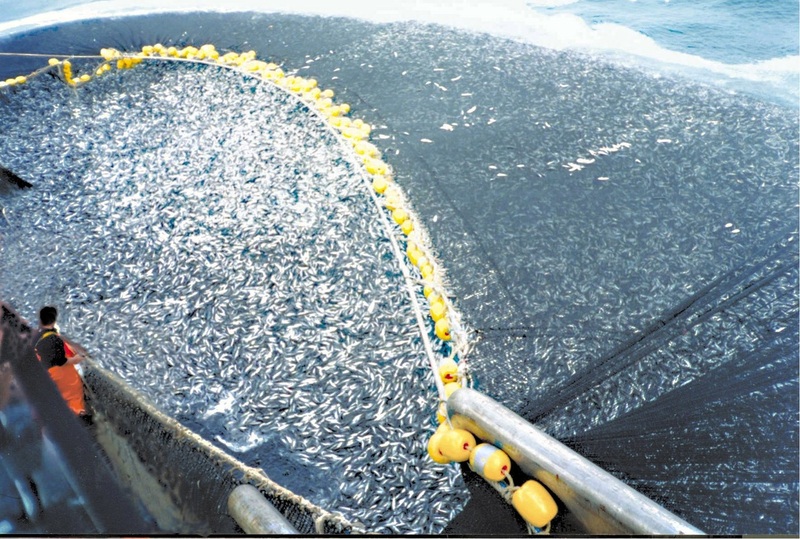 According to the UN, "Bottom trawling accounts for more of the world's catch than any other method. The area trawled each year is about equivalent to 150 times the total forest area clear-cut yearly and corresponds to about an area twice the size of the contiguous United States." Pulverizing everything in their path, crushing deep coral, grinding boulders to mere rubble, wiping out populations of fish and other creatures and leaving behind a flat, featureless moonscape of gravel and sand, bottom trawls are the underwater scourge of the ocean. The mouths of the largest trawling nets are big enough to fit a Boeing 747 Jumbo Jet, can reach lengths of 1.5 football fields and destroy 580 square miles of seabed each day. According to Oceana, "European scientists have calculated that bottom-dragging trawlers in the North Sea destroy 16 pounds of marine animals for every pound of marketable sole that is caught." Moreover, as these trawling nets are dragged across the ocean floor, silt clouds of up to 17 miles in diameter are created causing major destruction and even changing the chemistry of the water itself. These silt clouds can be seen from space and release pollutants trapped in the seafloor mud, which can enter and clog the breathing and feeding systems of all kinds of marine life, from sea turtles to coral polyps. It can take decades or even centuries for a seabed to recover from a single pass of a bottom trawl net. Learn more. 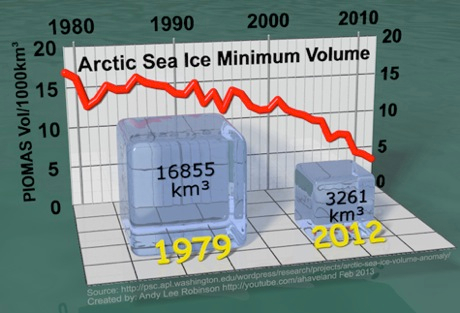 Total Arctic sea ice volume has collapsed to one fifth of its level in 1980. 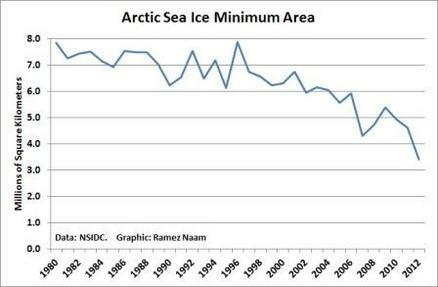 Arctic sea ice volume in 1000s of cubic kilometers (via Robinson). Click to learn more. Habitat loss in the Arctic, such as melting permafrost and decreasing sea ice - both in volume and extent - are directly linked to climate change, which is having serious implications for marine mammals, such as polar bears and seals, who depend directly on the ice for their survival. 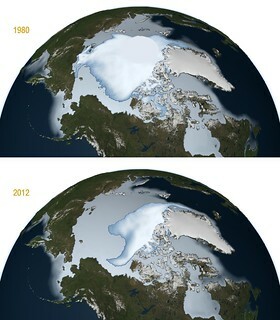 The warming temperatures are mainly due to the burning of fossil fuels, such as oil, coal and natural gas, and deforestation (see also), which not only disrupts climatic stability, but also acidifies the Arctic waters, which harms plankton - the base of the Arctic's food chain - and destroys corals and shellfish. Learn more. 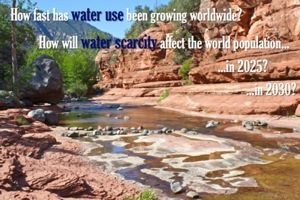 Click to learn about the world water crisis. The loss of estuaries, swamps, marshes, and wetlands, which serve as breeding grounds and nurseries for nearly all marine species, are being lost at unprecedented rates, devastating both wildlife and people and releasing up to 10 times more greenhouse gas emissions than previously thought, contributing up to 1.2 billion tons of carbon into the atmosphere each year. Wetlands not only support the foundations for wildlife, but also filter the drinking supply humans rely on. Wetlands are increasingly under threat in the United States, but also all over the world. 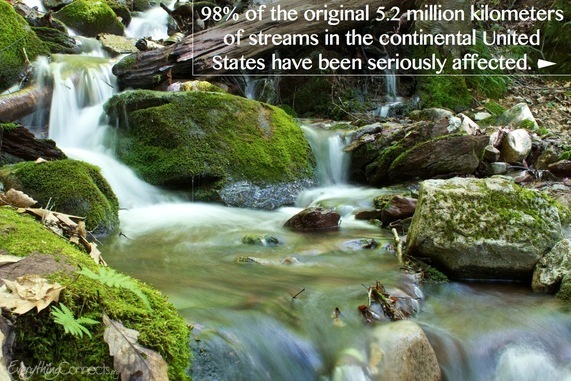 In the U.S., less than half of original wetlands remain with 53% being lost, which is about 104 million acres. In Europe, between 60% and 70% of wetlands have been completely destroyed. Twenty-two states in the U.S. have lost 50% or more of their wetlands, with California and Ohio losing over 90% and Florida losing 9.3 million acres of original wetland in just 200 years. Wetlands are being destroyed to make way for urban, industrial and agricultural development. Furthermore, the waste, pollution and runoff from cities, factories and farms are have wreaked havoc on wetlands, sea grasses, reefs, birds and fish. Learn more. The demand for freshwater is increasing by 64 billion cubic meters a year (1 cubic meter = 1,000 liters), which has caused freshwater withdrawals to triple over the last 50 years. According to the Global Outlook for Water Resources to the Year 2025, it is estimated that by 2025, more than half of the world population will be facing water-based vulnerability and human demand for water will account for 70% of all available freshwater. Furthermore, a report in November 2009 by the 2030 Water Resources Group suggests that by 2030, in some developing regions in the world, water demand will exceed supply by 50% and a report jointly produced by more than two dozen U.N. bodies states that, "By 2030, nearly half of the world's people will be living in areas of acute water shortage." The planet is in the midst of what the United Nations is calling a "Global Water Crisis." 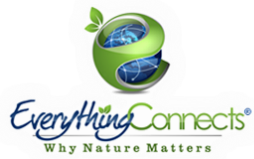 Freshwater is the most fundamental finite resource with no substitutes for most uses, yet we are consuming fresh water at least 10 times faster than it is being replenished in regions of northern Africa, the Middle East, India, Pakistan, China, and the U.S.. Learn more. "Most of the world's endangered species -- some 25 percent of mammals and 12 percent of birds -- may become extinct over the next few decades as warmer conditions alter the forests, wetlands, and range lands they depend on, and human development blocks them from migrating elsewhere." ~UN Framework Convention on Climate Change. Learn more.